Product categories of Steel Pontoon, we are specialized manufacturers from China, Floating Steel Pontoon, Modular Floating Pontoon suppliers/factory, wholesale high-quality products of Pontoon Bridge R & D and manufacturing, we have the perfect after-sales service and technical support. Look forward to your cooperation! 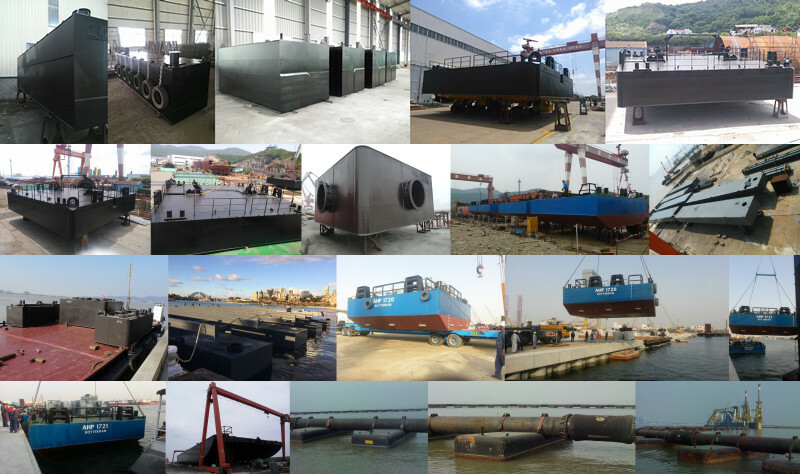 The special feature: The Marine steel pontoons design are modular coupleable. That is, they are delivered as easily-handled individual Steel pontoons for dredging and can be coupled together direct on the water. In this way smaller or larger platforms can be generated very fast. By default, we can offer you the Steel Pontoon in two different sizes and thus cover a wide range of applications.